Trinity Western University, a faith-based Langley university, hosts its second refugee story night. In his spare time, a Trinity Western student – who just so happens to be one of Canada’s top volleyball players – is helping a refugee family settle into life in Canada. Moreover, he’s trumpeting the need for more Canadians to offer support, aid, and even possible sponsorship to refugees. Meet Jordan Koslowsky. 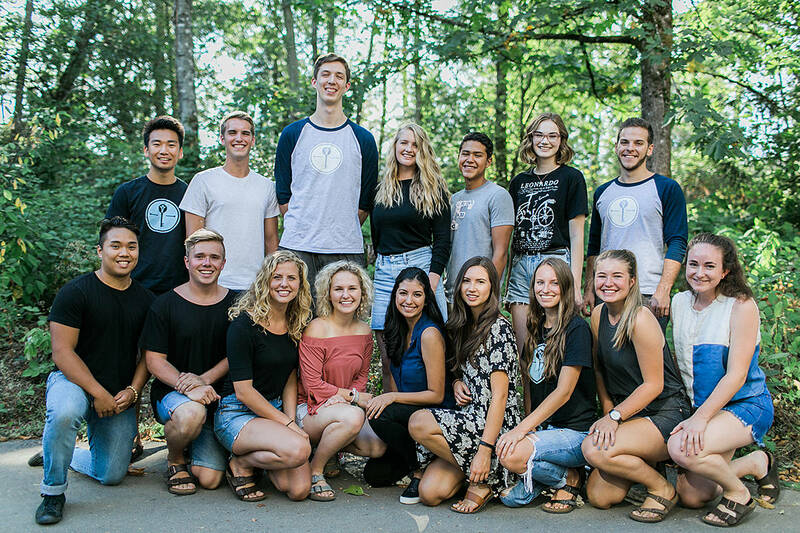 The 20-year-old Langley man is one of about 20 TWU students who make up Trinity Refugee Awareness Campaign (TRAC) a relatively new, student-led non-profit holding a special Night of Stories evenings tonight at the Langley campus. In his third year of international studies, Koslowsky explained how the campaign, the TWU story nights, and the sponsoring of a refugee family came to be. “I started TRAC after having two experiences that made a permanent impact in my life,” he shared with the Langley Advance. In the summer of 2016, he went to Israel and Palestine with the TWU global projects program. “In my second week there my team did a hike up Mount Hermon, and we stood at the border of Israel and Syria. 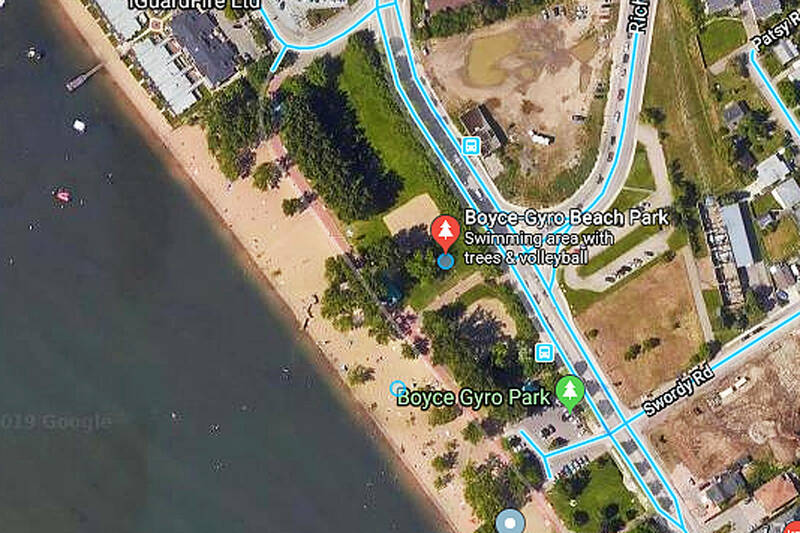 I did some research and knew that nearly a walking distance away people were suffering from a political situation they may have done nothing to cause,” he explained. When he returned home, he knew he needed to do something, but had no idea what. After doing more research, his “big, audacious dream” was to sponsor a refugee family to come to Canada with the support of the TWU community. “I didn’t think I was capable of making this dream become a reality, but I stepped forward in faith and received more support than I could have ever anticipated,” Koslowsky recounted. The TRAC team is made up of TWU students who are supported by their peers, faculty, staff, alumni, parents, and surrounding community. Their goal is to continue to raise awareness and opportunities to act in response to the global refugee crisis. “To be honest, I had no idea what to expect [when he started TRAC]. It has all been one big learning experience and the biggest unexpected thing that happened is the level of support we received and how we reached our goals so much quicker than we thought possible,” Koslowsky said. Part of his goal continues to be community outreach and awareness, and tonight’s story session is part of that effort. For the second time, Trinity Western University students are hosting a Night of Stories, an evening of refugees sharing stories – in their own words. It happens tonight [Thursday, Nov. 16] at 6:30 in TWU’s Northwest Auditorium. The Night of Stories is an awareness initiative hosted for the community, Koslowsky explained. The program will feature multiple individuals with refugee history and cover the entire journey, from leaving their home country to resettlement in Canada. Several local organizations will also be in attendance, sharing insights, programs, services, and personal experiences. These include Inasmuch Community Society, MCC, and the Refugee Immigrant and Welcome Center. “We hope to welcome our community to this evening to honour our neighbours, their journeys, their challenges, and their hopes,” he said. About 200 attended the first story night in February. He’s expecting a significant turn out again tonight. More information is at www.tractwu.com. 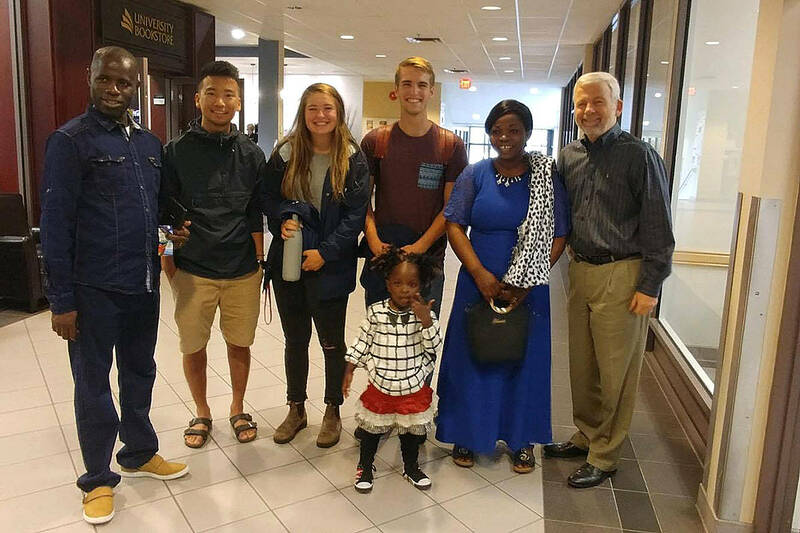 Working with Mennonite Central Committee (MCC), the TRAC group sponsors a the Kapanda family of five from the Democratic Republic of the Congo. They lived in Kenya for the past six and a half years, Koslowsky said, explaining that a requirement of sponsorship was for TRAC to raise six months of financial support for the family. They managed to collected $30,000 in just two and a half months – money which in turn is matched by the government. Likewise, TRAC was obligated to provide one year of emotional support, an experience that changed Koslowsky’s life. “Now that they are here, our support takes a variety of forms. Basically, we have the privilege of walking alongside them as they transition to life in Canada,” he said. It’s been a major transition for the family, but Koslowsky little did he know, that day on Mount Hermon, how the experiences of the past year would change his life and give it clearer purpose and direction. Continuing his education, in the world and in the classroom, Koslowsky said he hopes to pursue a career in law so that he can have “the largest platform possible” to advocate for refugees and other marginalized groups. This has been an incredible learning experience for Koslowsky, showing him – among other things – just how small the world really is. A week after arriving, the kids were preparing to start school, and he went by the family’s home the night before to offer assistance. It turns out it was a long lost family member sitting in their livingroom, who had connected through a Congolese woman Koslowsky had been working with leading up to the family’s arrival. She was from the same city as family, he explained. Just before the family arrived, he reached out to here again for some advise on food choices, so he could stock their kitchen prior to their arrival. 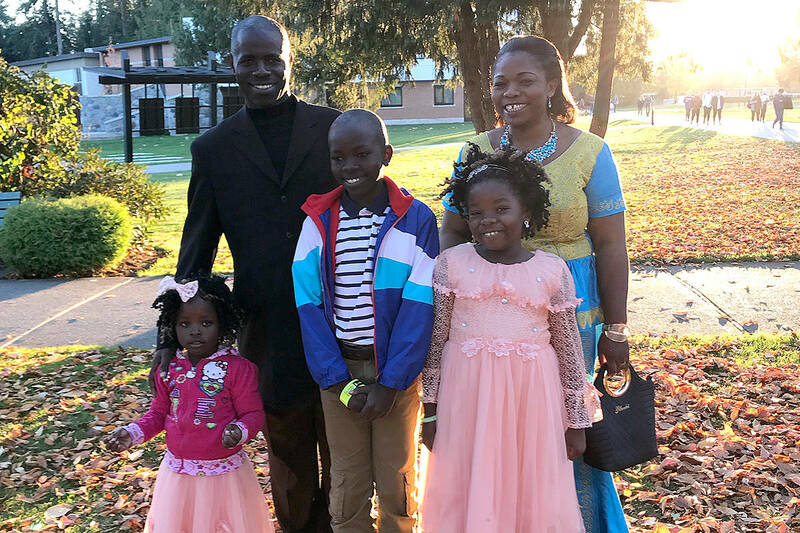 When his friend went to church the Sunday after their arrival, she shared news of the newly arrived family with some of her friends. “One of the ladies who heard the story immediately went and told her husband, who couldn’t believe what he heard,” Koslowsky relayed the story. Kapanda hadn’t seen his nephew in 15 years, and the family hadn’t seen any extended family members in more than six years.